This blog post contains affiliate & referral links for your shopping convenience. I haven't received a Stitch Fix in quite some time. I think I forgot about the great quality that Stitch Fix brings to the table. My stylist for Stitch Fix December was Sarah. How did she do? Read and find out! How does Stitch Fix work? Stitch Fix is a styling service. When you request a box, the stylist will look at your Pinterest board, that you will set up, to find out your personal style. The stylist picks out five pieces to send you. The five pieces are to update your wardrobe and get you to step out of your "regular" style box. The cool part is you can try on the clothing in the comfort of your home and keep them for up to three days. If you end up purchasing nothing, you only pay a $20 styling credit. 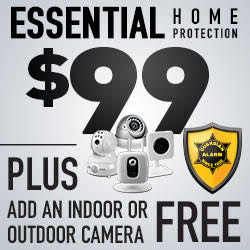 If you buy any of the items, the $20 styling credit is applied to your purchase. If you purchase the entire box, you receive a 25% discount. The best deal is when you keep the whole box. 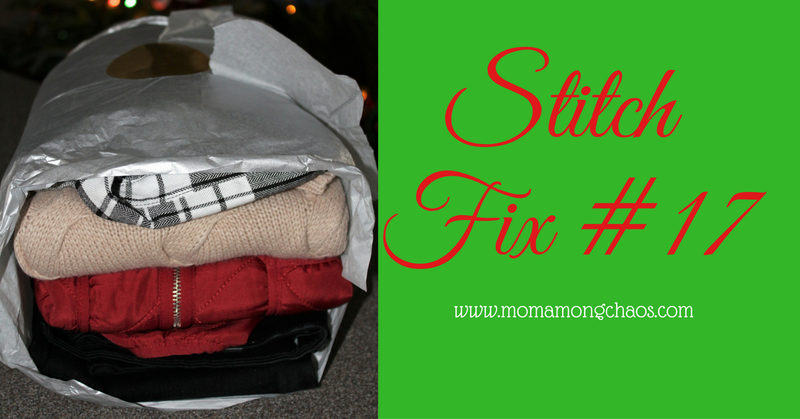 Are you ready to see my Stitch Fix Styles? Well, here goes! This lovely sweater is 41Hawthorne. I wasn't that fond of the texture, but I loved it on, and it looked great with a black pair of jeans. My hair is currently red, so I loved this color with my skin tones. In the above picture, I'm wearing Olive & Oak. I fell head over heels with this shirt because it has the lace back. I had never seen a flannel with lace back, so I loved the touch of girly that shirt brought. The red vest is Market and Spruce. I had asked my stylist to send me a plaid top and a vest. I loved that look. I adored the vest! The jeans are Just Black. They seem to run small, or I have put on a few pounds. Or, it could be a combination of both. I already have a pair of Just Black pull on skinnies. My husband thought if I went a size bigger that they would be too big. The final top was Market and Spruce. As you can see the jeans did not work well with this shirt, because I had a pooch going on. This shirt is a comfy top that I can see myself reaching for to wear with jeans. My favorite two items were the plaid top and vest. Just for the two items, it was probably close to $150. I decided to just purchase the whole box so I could keep the discount. I decided to be kind and save my husband the hassle of Christmas shopping for me. So, I gave him my box to wrap and put under the tree. A few months ago I created Clothing Deals. I bring you the same brands that Stitch Fix carries mainly at 50% off or more. Make sure you join the group! Here are some Stitch Fix brand deals!